Ex-Verve frontman Richard Ashcroft, on the brink of his solo career, has spoken for the first time about his troubles with The Verve. No need to excited however, as true to form, he reveals a mere glimpse into the band's second, and final, break-up. In an interview with the April issue of The Face, Ashcroft explains that he was about to sign a new recording contract with Hut after guitarist Nick McCabe's departure, when both he and McCabe were offered 'a nice large sum of money' to stay together. Whether this attempt at bribery clinched it he's not clear, but the final split came shortly afterwards. "This did not come without a great deal of stress to me me personally," he said. "I didn't wanna be another one of those sad rock'n'roll fookin' stories, where some member of the band's dead. And that's the way it was going. Not to be dramatic about it. But that's how I felt. And then you can throw all the records in the bin. Because it's not worth that." Ashcroft also talks about his drug use, saying the only drug he's ever (slightly) regretted trying was crystal meth, which once prompted him to liven up an interview at California's Berkeley University by hopping up and down on one leg while shouting, "We're the new Monkees!" Heroin however, was never in his repertoire. "I think I always understood that, to put my personality in the womb and comfort it from any thoughts of fear, y'know worry or anxiety, would be like, 'put me in a coffin." 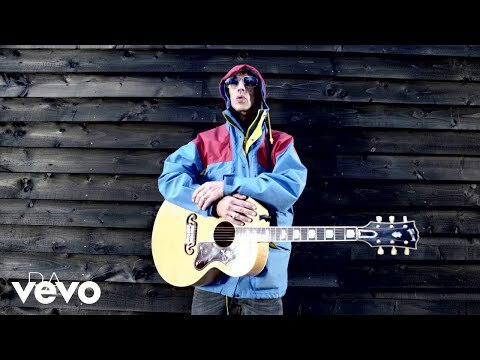 Richard Ashcroft's debut solo single, A Song For The Lovers is out on April 3.